Perennial Bulgarian League champion Lukoil Academic is back to the Eurocup as a classic team in the competition - it will be its ninth appearance in 11 years. 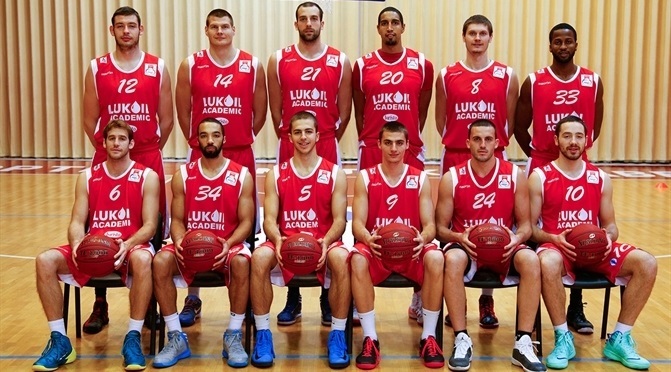 Lukoil comes off yet another successful domestic season. The club claimed yet another Bulgarian Cup trophy and went on to win its 11th consecutive national crown by downing Levski a the best-of-five finals series that went down to the wire. Lukoil also returned to the Eurocup but despite an initial 18-point win against Belgacom Spirou Charleroi, the club did not go past the regular season. Lukoil was one of the superpowers when European club basketball competition was created over half a century ago. Founded in 1947, Academic Basketball Club played in back-to-back European Cup finals in 1958 and 1959. Academic lost both title series against ASK Riga, but was one of the first teams to shine brightly in the newborn competition with players like Viktor Radev, Georgi Panov and Ljubomir Panov and head coach Bozhidar Takev. Academic remained the dominant force in Bulgaria by winning 12 titles between 1957 and 1976. Years of obscurity followed, but the club returned to the elite when Lukoil became its main sponsor and the team shined soon after by lifting the Bulgarian Cup trophy in 2002. And Lukoil has dominated Bulgarian basketball ever since. It reached the ULEB Cup elimination rounds four times in the past decade and the Last 16 in 2007-08. Along the way, Lukoil fans had the chance to witness great individual performances from players like the Eurocup's all-time leading scorer Todor Stoykov, 2003-04 ULEB Cup MVP Priest Lauderdale and 2005-06 ULEB Cup assists champ Lamont Jones, among many others. In 2010-11, Lukoil lost on point-difference against Aris in the Eurocup Qualifying Round. It rebounded to reach the EuroChallenge quarterfinals, where Academic lost 2-1 against eventual champion Krka Novo Mesto in a three-game series that came down to the last shot. Lukoil has not gone past the Eurocup regular season in each of the last two seasons but carries on dominating inside the Bulgarian borders. In fact, Lukoil has accumulated an incredible 371-30 Bulgarian League record since 2003. The goal will be no different in the 2013-14 Eurocup - take one game at the time, use its vast experience in the competition and see where it leads.